Islamism and Islam Bassam Tibi Yale University Press £20.00. Bassam Tibi, a prominent Islamic Reformist scholar has decided to conclude his 40 year academic career with an attempt to explain a significant distinction between Islamism as a highly political and ideological movement, and Islam as faith. In Islamism and Islam, Tibi provides an engaging interdisciplinary discussion about the incompatible nature of Islamism and Islam. To support this argument, Tibi opens with the assertion that Islamism “is based not on the religious faith of Islam, but on an ideological use of religion within the political realm.” He proceeds to make the bold statement that Islamism is totalitarian, undemocratic and anti-Semitic, whereas Islam is the complete opposite. In other words, the post 9/11 world is being shaped not by Islam, but by a “politicized ideology.” Misunderstanding this may have serious consequences for grasping the new global “challenge of irregular warfare,” and as a result for preventing the expansion of fundamentalist ideology. 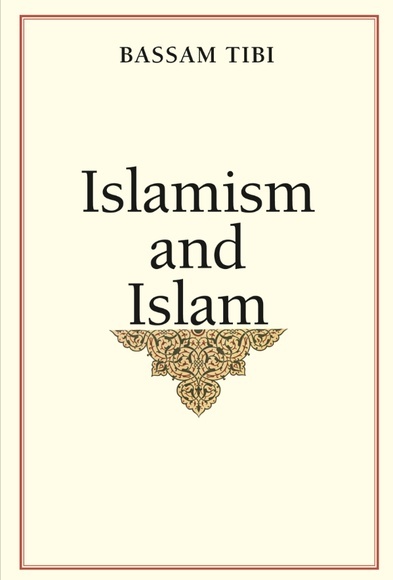 Although the book is highly controversial, and is likely to face substantial criticism from target audiences in the West and members of the Ulema, there seems to be a light of hope that the arguments presented may spur “inter-civilizational” dialogue between the West and liberal-civil Islam in setting the global security agenda. However, Tibi’s somewhat naïve attempt to bring the world’s bipolar constituencies together in dealing with Islamism – the inherently alien ideology to Islam – still remains unclear.